Crystal Dynamics has been almost unseen in the video game industry as of recently. Their last games were the remnants of the Tomb Raider series. With assistance from Square Enix, Crystal Dynamics took a new approach on Lara Croft redefining the character in many ways. Finally we have gained the new Tomb Raider reboot and it’s a fantastic in more ways than one on par with games such as Uncharted or The Last of Us. The Story is simple yet easily able to impact the player due to the incredibly well done cinematic feel of the game. Lara Croft’s struggle to survive is an amazing experience, one example being when she falls 15 feet and lands with a spike going through her side. The screen turns red and creates an echo effect that changes the camera filter on the moment of impact. Moments like those in this game make you feel for Lara and give you the desire to help her. This game is fantastic and deserves to be on any gamer’s shelf. The story starts with Lara and her crew in search of the island of Yamatai where the Queen Himiko ruled. In search of the island a storm appears out of literally nowhere and almost destroys the ship, separating the little crew and leaving them stranded. Lara’s first thought is to find shelter and after realizing she is lost and incredibly hungry she tries to signal a friend on a radio for help to no avail. After walking in the forest for a while she finds a poorly crafted bow and teaches herself how to hunt. Lara then gets a signal from her friend asking for help. She tracks her down only to find her with a strange man who calls himself Mathias. Due to exhaustion Lara falls asleep only to find Mathias and Sam have disappeared. She proceeds to look for the remaining people in her crew, only to be attacked by those who live on the island who want nothing more than their goddess Himiko to be pleased. This game does not really shine in the story department but the feels are so well done that it’s very easy to look past the story. Now where this game shines like the sun is the Gameplay area. The gameplay elements are actually well done for a third person shooter. The enemy AI is not idiotic and will react to your actions and movements enough to make the game fun. An example being when an enemy sees another enemy run up and be gunned down by a firearm the AI will respond by telling that enemy to duck behind cover keeping the combat more dynamic. IN other shooters 12 guys would just run up on you only to be killed by a single blast with a grenade launcher. To go with the story of the game Lara over time develops more combat abilities to help stay alive on the island. Lara gets stronger as you upgrade her skills: whether they allow her to learn more basic survival technics, become more effective to fend off attackers or superior at her overall strength and agility. The Skills are actually gameplay changing. Which means battles can actually go much completely differently depending on what skills you chose to unlock at certain times. Lara’s weapons start off rather average when she first gains them. As you progress through the game however there will be collectable weapon parts and salvage that are used to upgrade them. This may seem typical for shooters but the change is very apparent because not only can you actually see the weapon changes in real time. The changes also open up new options when fighting instead of just being fill upgrades that do little to nothing. To the visual side of things Tomb Raider looks stunning constantly running at 30 frames per second. The appearance of the island and cut scenes are just fantastic sadly you may experience slow down when many explosions are on the screen. 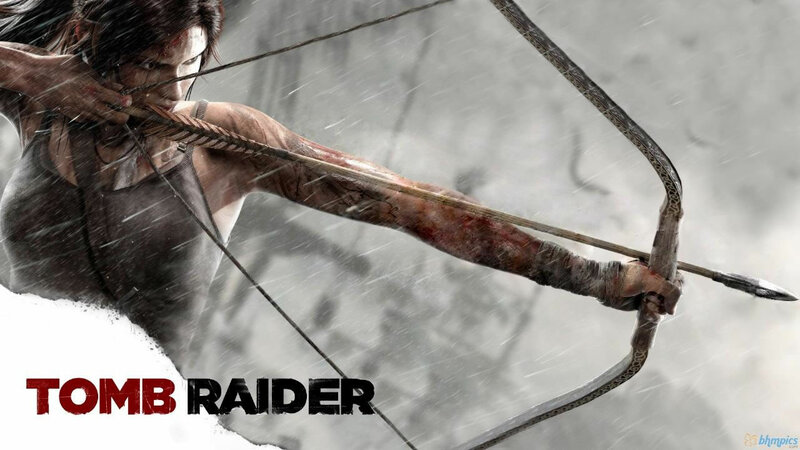 Together Tomb Raider is a fantastic reboot that fans will enjoy. This game is perfect for anyone looking for a great time with their Xbox 360 or Ps3 before we can really get wrapped up in next gen.